8:30am, Sunday 2nd April 2017. The first train in 50 years will depart from Low Moor on Sunday 2nd April, after years of tireless campaigning, the station will finally open. The station is the culmination of work by BRUG, the Friends of Low Moor Station, local councillors, Bradford Council and WYCA. Come down to the station and celebrate the transformation of the station, and a new future for Low Moor and Bradford South. The construction is due to start in 2018 with an estimated completion in 2021. BRUG has complained that the access to the station has let the station down for many years, the stairwell and lifts close early on an evening, which means that access to the station from the city centre is via the dark cobbled footpath, which is often dark, and creates a perception of risk, which deters evening use of the station. The plans will be discussed at the next BRUG meeting: 4th March 2016 at the Bradford Community and Voluntary Services. Aerial view of the station and lift access from Cheapside and proposed meadow. 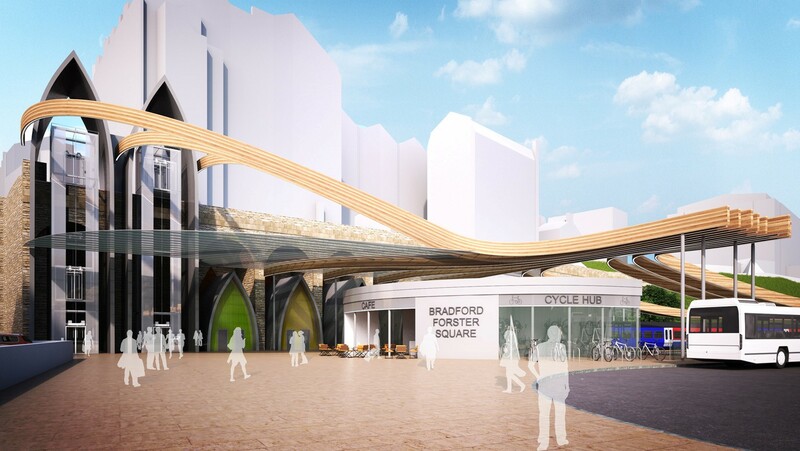 From what we have seen of the plans, this is an ambitious plan to re-develop Bradford Forster Square railway station, and we would like to invite the Council and Combined Authority to meet with us and discuss their proposals further. 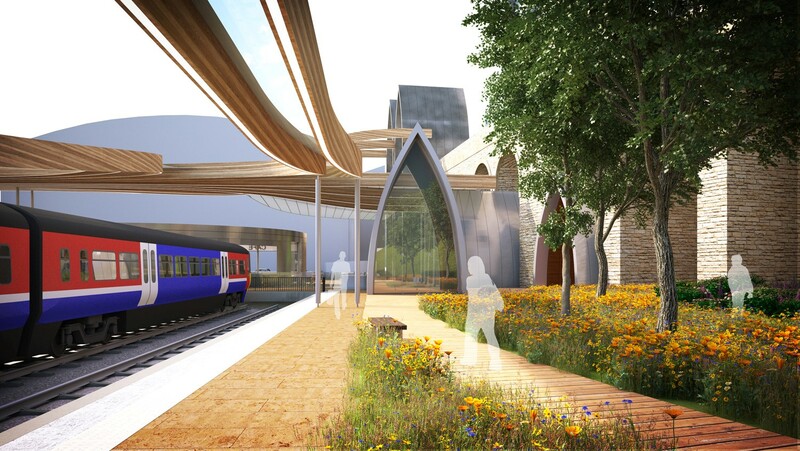 “We are concerned that Bradford Interchange was not selected as their prime redevelopment station, it is a life expired station with a huge potential due to the upcoming redevelopment of the Caldervale line, new trains and new destinations. But all high quality investment in the Bradford stations is to be welcomed. The station re-development at Forster Square is cosmetic, but welcomed, the old lift and stairwell will be replaced with two open frame lift shafts. – Though we note no walking route, potentially through the meadow, is proposed. 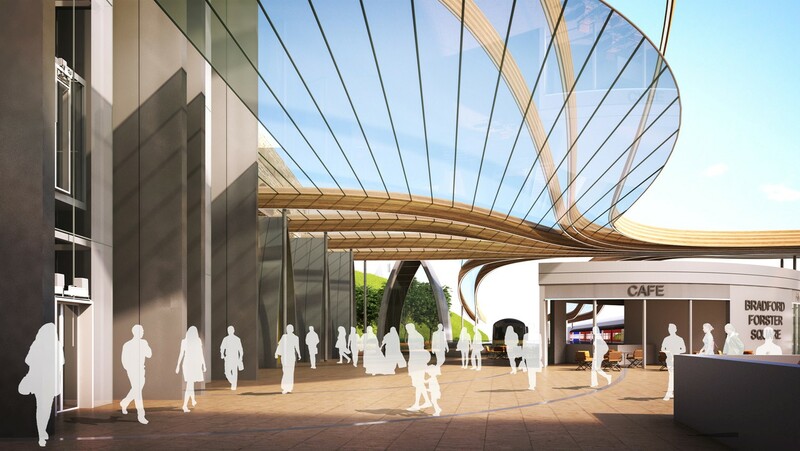 There is also no planned retail/station (ticketing) offer on the Cheapside Entrance (or a wood & glass canopy), which we would like to have seen – We need to really ‘shout about’ the station directly below and draw passengers in. 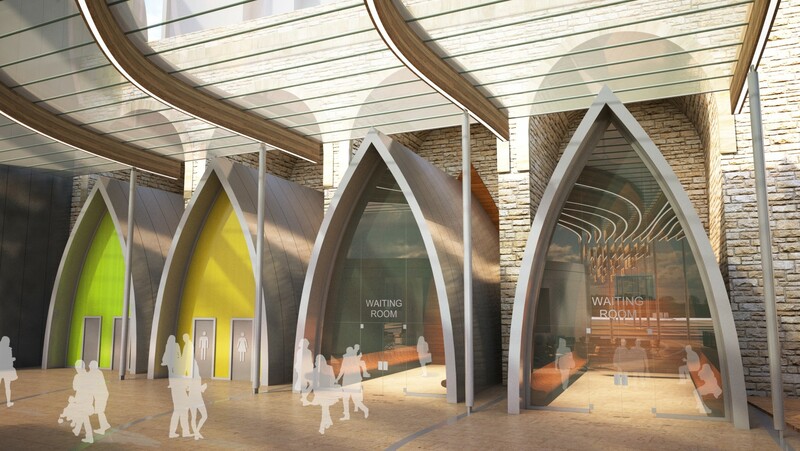 The ‘pods’ that will installed under the archways will be a welcome development, and we would encourage the council the consider deploying more along the route to the Midland Hotel making the most use of the available archways and a wonderful welcome as people enter the city and Broadway. We are concerned that the toilets and waiting room capacity could be limited and locked too early on an evening, we would hope that staffing at the station was extended in the evening to ensure these facilities, along with the coffee shop were open late into the evening, – coinciding with other facilities in the city – so that those leaving the theatres on an evening aren’t greeted with a dark (cold) station. We would have liked to have seen a secondary access to the station from Hamm Strasse – The existing centre platforms extend to Hamm Strasse and it would have been an additional way to bring passengers on to the station. We would hope that the Bike Hubs were extended throughout the city to encourage cycling in the city. Further we would like the station to have a greater connections with the bus network. We will be discussing the development plans at our next meeting on the 4th April and invite councillors and WYCA to attend. 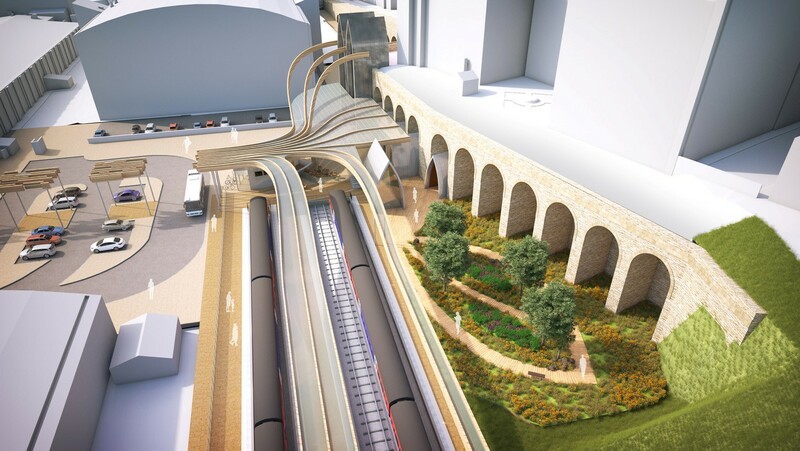 Overall, we think that the development is extremely welcome, we would ask that station is equipped (and operated) with ticket barriers at all times to reduce fare evasion. The first passenger train to operate from Apperley Bridge railway station will depart at 08:42 to Bradford Forster Square on Sunday 13th December. The last passenger train departed the station on 20th March 1965. Apperley Bridge is due to open in August 2015 and Kirkstall Forge is due in October 2015. Passengers travelling on the Airedale line between Leeds and Shipley will see construction underway as the platform sides and access routes are nearing completion. 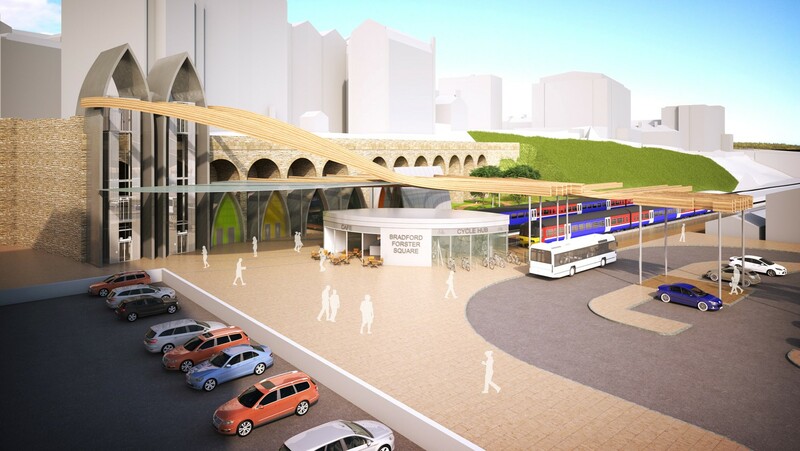 Both stations will be served by the Bradford to Leeds services. Passengers to services along the Airedale line (Saltaire to Skipton and beyond, will need to change at Shipley. Both stations will be immediately popular when they open later this year. A quick update about Low Moor railway station. The station is due to open within the December 2015 timetable. For non-rail experts that means it will open between 13th December 2015 and 14th May 2016. 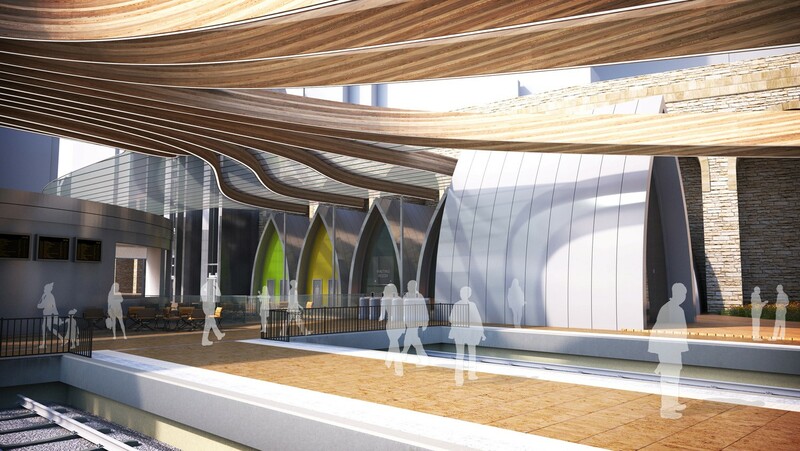 Whilst this is a bit window of time, it is highly likely the station will open in January 2016. The group is working closely with the Friends of Low Moor Station, local councillors and WYCA and others to ensure the station is opened as soon as possible. BRUG and FOLMS will be hosting a stand at the Woodlands Cricket Club gala on Sunday 26th July talking to local residents about the new station. We hope to see you there! Crossley Evans operates the last rail freight siding in Bradford district. Located in Shipley, the site is under threat from a supermarket development by Network Rail who want to sell the site. In their recent fightback against the development Crossley Evans has unveiled a brand-new development plan that could revolutionise the site and increase employment to 200. The site would deliver over 10,000 tonnes of freight onto the rail network. This is the only site in Bradford that can deliver this level of freight effectively onto the rail network. There are currently 3 sites being pursued by developers in Shipley, more information is available here. BRUG supports the continuation of rail freight in Bradford and would support this scheme.